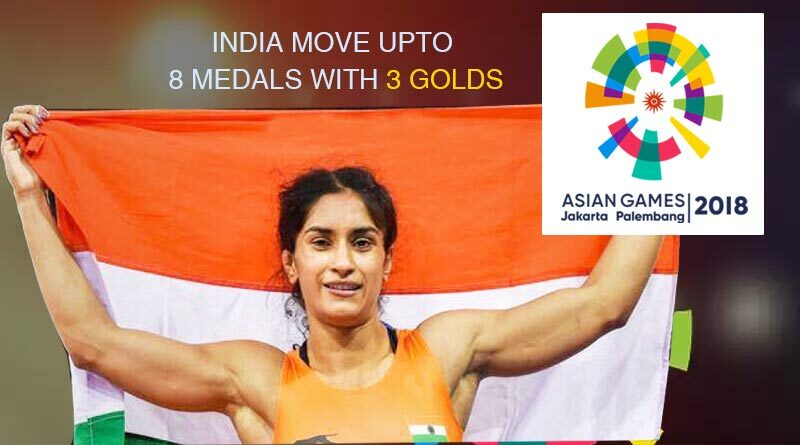 The wrestlers continued to fly the Indian flag high at the Asian Games after Vinesh Phogat became the second wrestler after Punia to bring gold from the country. Phogat won her 50kg women freestyle category final bout to bring home India’s second gold. The shooters were not far behind as they made the country proud with their impressive performances which saw them achieve glory. Shooters Saurabh Chaudhary bagged Gold and Abhishek Verma clinched Bronze in the finals in the 10m Air Pistol Men shooting. Sanjeev Rajput brought home the silver in the 50m air rifle event as per Asian Games 2018 Latest updates. Indians are enjoying themselves at the Asian Games. After the first day saw only two medals come in for the Indians, Day 2 and 3 saw the tally increase with sports like shooting and wrestling entering their final rounds. The Indians, who have traditionally dominated these fields, were among the medals again with Vinesh Phogat defeating Yuki 6-2 in the 50kg category final to bag the top prize. In shooting Deepak shot 247.7 to finish second on the podium behind China’s Haoran Yang, who won with a Games record 249.1. Lakshaypicked up the sliver with a total of 43 out of 50 in the men’s trap final. The shooters continued adorning the country with pride on Day 3. Years of dedicated practice, excellent training and immense skill paid off with India picking up 2 medals in the 10m air pistol event. The 50m air rifle event brought in their third silver of the Asian Games. The Indians were equally good in the team events with the men’s hockey team defeating host’s Indonesia 17-0 for their biggest ever win. It was fine to display by the team which saw silky smooth, quick intricate passing open the Indonesian defence time and time again. 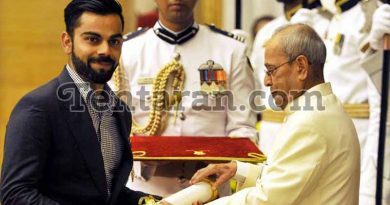 The win bodes well for India and speaks volume about the mettle of the side who recently won silver at the Champions Trophy. The Indian Kabaddi side threw up the biggest shock result after they suffered their first ever defeat at the Asian Games. They lost to a familiar rival in Korea who they had also succumbed to in the recently concluded Kabaddi tournament. Going down 23-24, the Indians were stunned by the Koreans. However the Indians still have to play their fourth match which will decide their progress in the tournament. For more Asian Games 2018 Latest updates, like and subscribe to tentaran.com.